Getting the garden you want isn’t always possible on a budget, but it is not impossible to do your gardening on a budget. Gardening on a budget is more rewarding and fulfilling because you have been more creative to get your garden to the final point where you are happy. It is about saving and finding ways to get the effect without sometimes much money, it can mean getting creative and sometimes going without but it is worth the effort in the end. 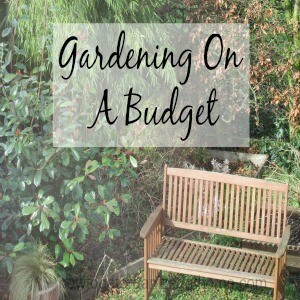 Gardening on a budget means making choices, it can mean going without the ideal option and sometimes making do and while this isn’t always the ideal sometimes it is a good learning curve to take. Gardening on a budget can help you make the right decisions first time; you learn to develop your garden in a way that suits your budget and your style. It is not easy and sometimes you might have the odd gap but it doesn’t matter, nothing in life is perfect and that means the garden, too. You look at what you want and then you look at what you can afford and make the sacrifices, it is about living within your means. You might be able to use your garden to help reduce your shopping budget, you can then offset this money you save and put it towards your garden budget, it can help a lot and it is better for your family too. If you are gardening on a budget you need to make long-term plans; these can help you work out the jobs you are able to do and the ones you need to save for first. It is rewarding, over time to see your dream coming together. It is easy to put your garden budget on some form of debt but it won’t have the same meaning if you have saved for each and every item. You can also buy more, because you won’t be paying any interest back to the credit company meaning you will have more money in your garden budget if you save for your garden. You will see the progress over time, you might see an idea that you can develop or completely change. Having long-term garden plans is a great way to start to develop your garden, but it gives you time to really get to know how you garden and what will work in the space you have. Sometimes it can take a couple of years to really get to grips with what you want and what time you have to devote to your garden. Now my children have grown up my garden is changing, what I want and how I use it is changing too and this impacts my long-term plans for my garden and I am seeing the plans I put in place last year and what I plan to do this year to really change my gardening habits. Giving me more options for less intensive gardening and enjoying the maturing borders that are now taking shape. It has taken time but with careful planning and budgeting, I know where I am heading. Therefore, it is possible to have a garden budget that over time you can use and develop your garden and turn it into something that is practical for you and meets your current needs. I really want to start a garden, but every year I end up killing the small herbs that I try to grow. They start out great, but after I move them outside I forget about them. 🙁 Maybe in a few years when my kids can get more involved and can hold my accountable. Thank you for the encouragement! I often plan a big fancy garden during late winter. I dream BIG and when it comes time to purchase I have to completely scale down! But you are right, it IS more rewarding and fulfilling and I love getting to be more creative and discover new (and sometimes better) ways to do things. I love looking at my garden mid-summer and thinking, wow, if I had invested more money I don’t think I would be impressed in the same way! 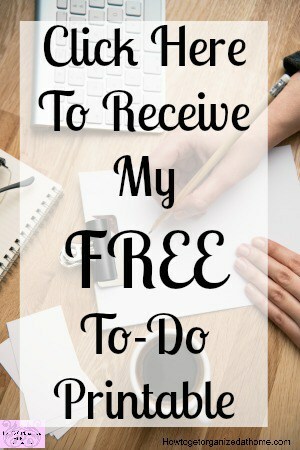 Prayer and careful planning tapping into what God provides seem to be all I really need! It is great to see another heart that feels the same! I agree Amanda it is so much more rewarding to witness the results after being more creative and seeing what happens 🙂 Thanks for visiting!